Technically a member of the fig family, Ficus benjamina has earned its place as the gold standard of small indoor trees. When young, the main stem is soft and pliable, letting you bend and braid it if you’re feeling adventurous. This ficus will do best in the warmest room of the house. 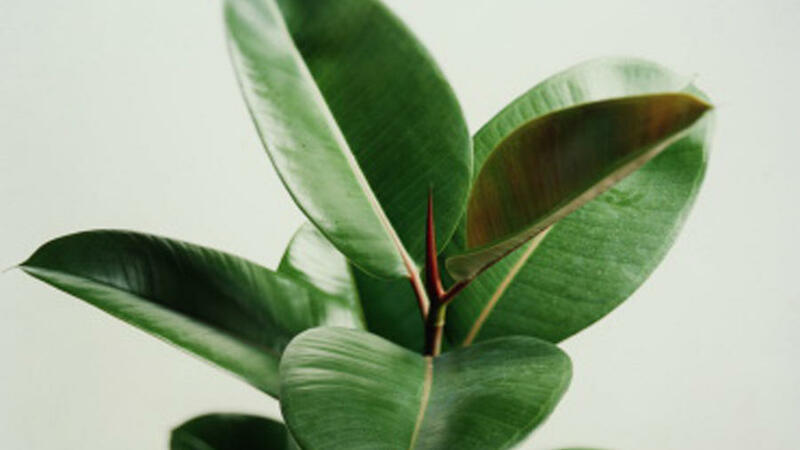 The classic houseplant for the forgetful gardener, Ficus elastica is actually a small tree that grows easily indoors. 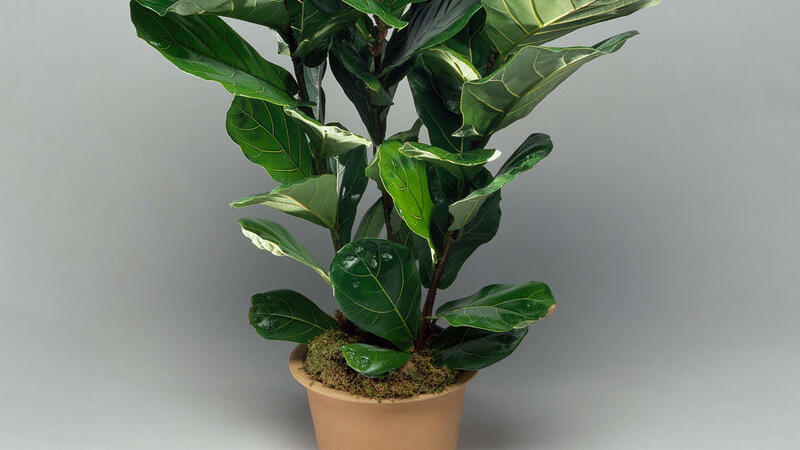 While it would prefer bright light, the Ficus elastica is more tolerant of low light than most other houseplants. Keep moist in warm months but allow the soil to dry down a bit more in winter. Aptly named, Ficus lyrata or ‘Fiddleleaf Fig’ boasts comically large, fiddle-shaped leaves with a shiny coat and deep veins. They’re not particularly fussy and will do just fine in any room of the house with average temperatures and medium-to-low light. Be careful not to overwater or they may start dropping leaves. 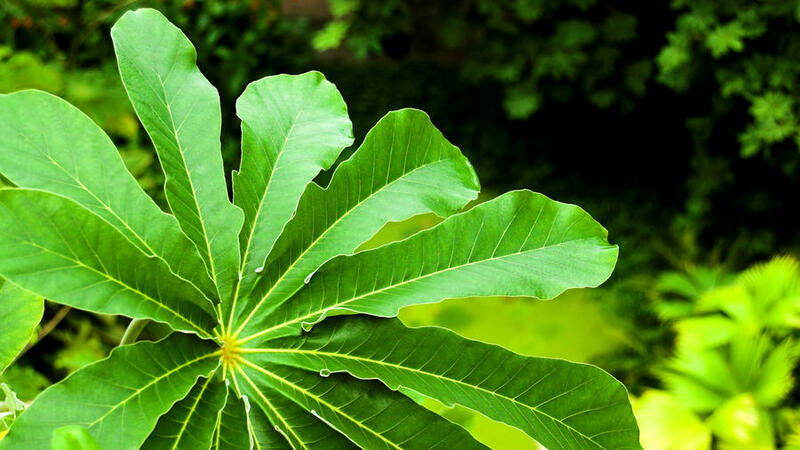 The light, glossy leaves of Schefflera arboricola will instantly brighten up any room. They respond really well to pruning, making them one of our favorite choices for indoor trees in small spaces. Prone to becoming weak and leggy when light-deprived, umbrella plants will appreciate bright but indirect light. This slow-growing tree is great for tucking into tight corners (look for a potted variety with a single cane). Yucca elephantipes thrives in bright light but will survive under many conditions. 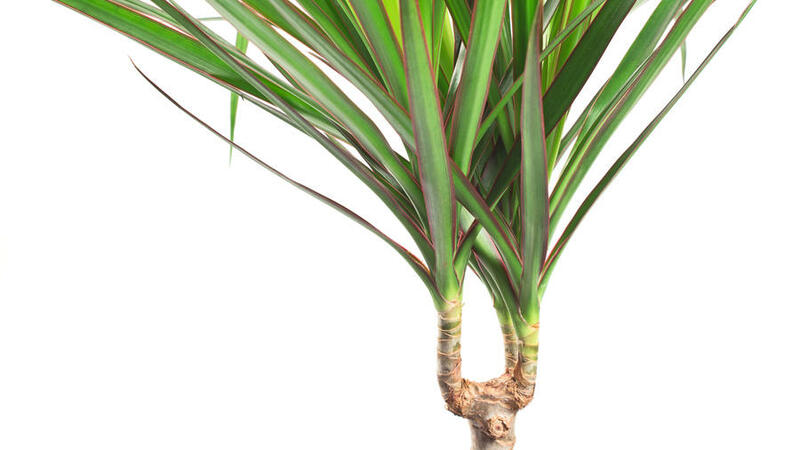 Fun fact: The spineless yucca is one of the best air-purifying indoor plants out there. 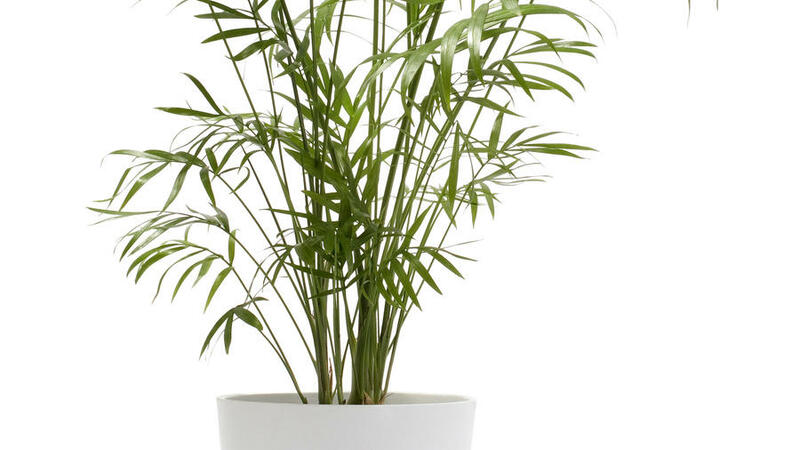 We love the exotic flair of Dracaena marginata. With a slender stem that erupts into long, splayed leaves, it can reach up to 20 feet tall under the right conditions. If the leaves gather dirt or dust, simply wipe clean with a damp cloth. Often sold at nurseries as a potted alternative to Christmas trees, Araucaria heterophylla deserves a year-round place in the home. (Hint: Shop for deals early in the new year!) They prefer soft light and will quickly tell you if they’re moisture deprived by yellowing lower branches. 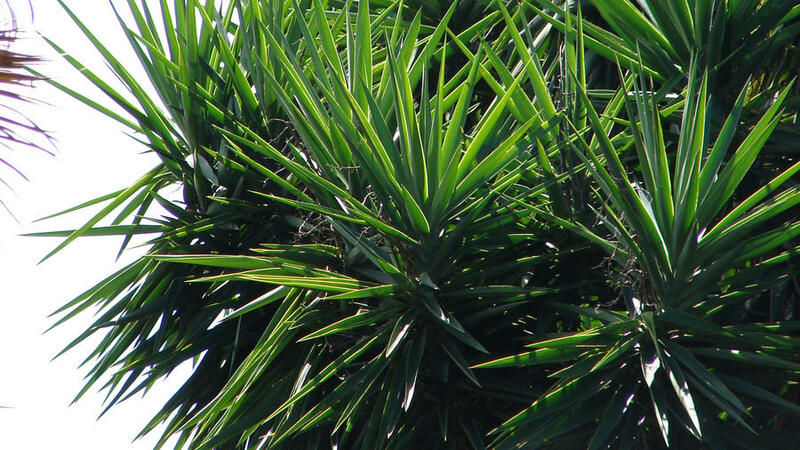 If you’re on the lookout for a classic-looking palm tree for the house, Chamaedorea elegans is your guy. 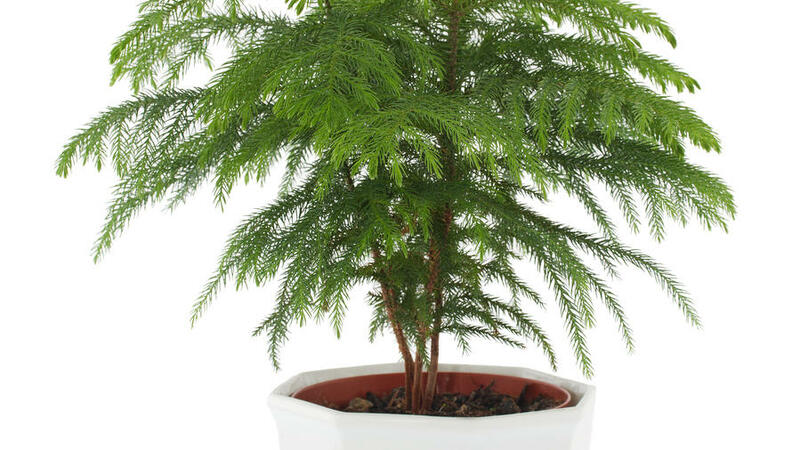 It thrives indoors, often reaching 3 or 4 feet tall if repotted every couple of years. You’ll often find them sold in clumps as they have narrow, single stems. 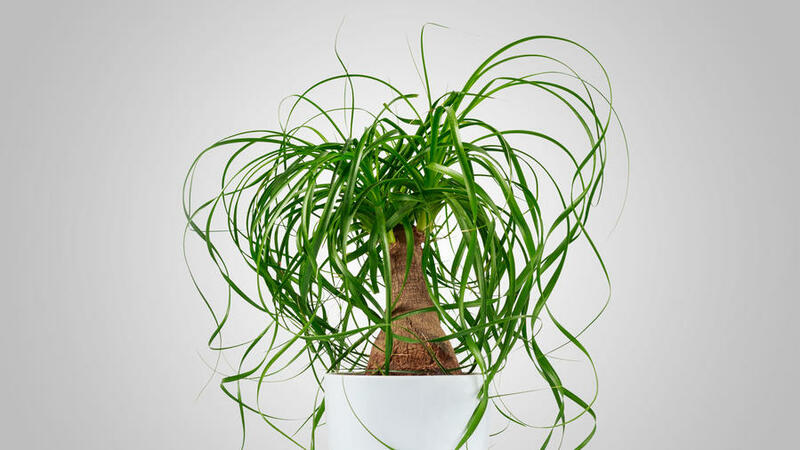 A welcome departure from more tailored-looking houseplants, the Beaucarnea recurvata adds a touch of the wild side to indoor spaces. The bulbous base of the trunk actually stores water, so allow the plant to dry out thoroughly between waterings. 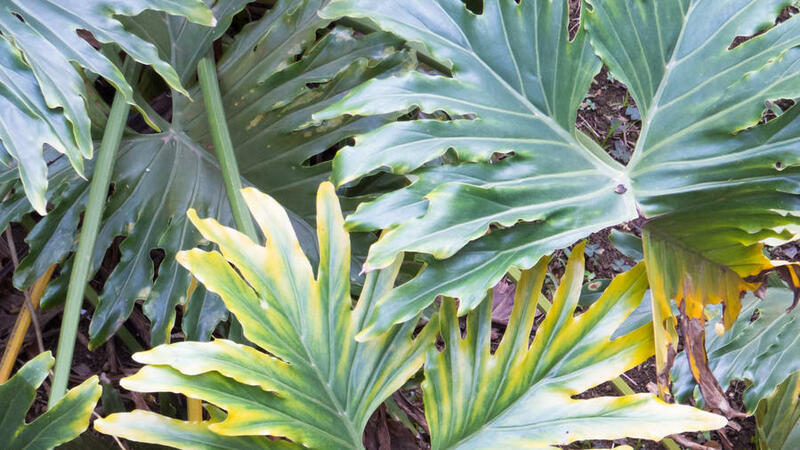 We love Philodendron selloum for the tropical vibe they bring to any indoor space. Best kept out of direct sun, they prefer slightly indirect, bright light. Be sure to choose well-draining soil mix and keep moderately moist but not soggy.